All Monsters Are Human - Category Is: Book Review Realness! "'A reader lives a thousand lives before he dies. The man who never reads lives only one." Naty, 19, Brazilian reader. Here to steal all the recommendations I can from you guys! Name of the blog is a reference to the documentary Paris Is Burning. I need to admit that reading this book gave me the impression of being robbed. 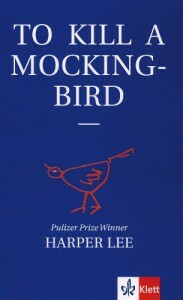 Most Americans had the chance to read it through middle school and then experience it again as adults with a completely different view of the world. Age changes you a lot. I would love to know how my young self would react to the writing. My views of my position in the world and of racism and xenophobia itself felt innocent, incomplete. I was too young to understand how the country where I was born would always change the view some people had of me. And again, I was too young to understand how cruel human beings can be in general. But reading this book now may have been better. The pain of discrimination and racism is clearer to me. And while the remainders of our cruel past are always painful,remembering is necessary. A forgotten past could be repeated. “I think there's just one kind of folks. Folks." On a more cheerful note,I couldn't have loved the story more than I did. Everything fell into a perfect place to me. How can you speak of such a hard subject and keep a peaceful tone to it? Harper Lee managed to do so,and meanwhile she also created characters that I will never forget. Atticus is obviously my favorite and my current life role model. But his children, Scout and Jem, saw the world from the eyes of a child. And sometimes it takes a young one to explain what's so simple but the older people don’t seem to get. There isn't much I can say about this book that hasn't been said a thousand times already. It's amazing. It's lovely. It's so real it can be considered cruel. And it was everything I was looking for in a package of 300 pages. If a great writer should make you feel,Harper Lee is beyond that definition.